The second day of The Terrific 12 featured four group stage games. 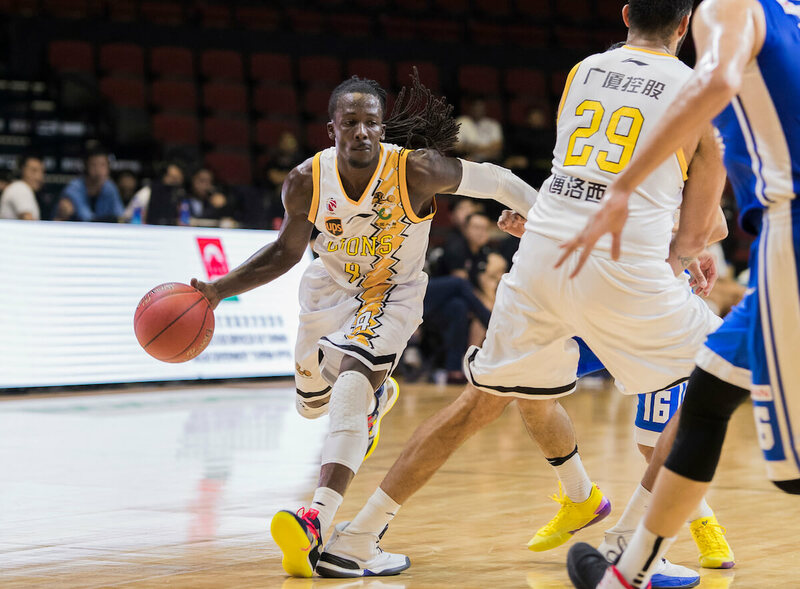 The Zhejiang Guangsha Lions opened their Terrific 12 campaign against the Yulon Luxgen Dinos to start off Day 2 at Studio City Event Center in Macao. It was close all throughout the game and the play started heating up in the third quarter. The Lions started to pull away leading 49 to 38 but the Dinos kept on fighting and took the lead after they went on an 8-0 run to go up 62 to 61 near the end of the third. The team from the SBL was led by the league’s MVP Lu Cheng-Ju who was their leading scorer with 19 points in the game. The Zhejiang Guangsha Lions found their rhythm late in the game and went on a 9-0 run led by former Greek League champion and second year big man, Ioannis Bourousis totaling 32 points, 14 boards and 4 three-pointers together with Lin Chih-Chieh totaling 14 points and 7 rebounds to go back up 82 to 72 in the fourth. The Dinos rallied back and tried to make a final comeback keeping it close until the end of the game. However, the Lions proved to be too strong for the Dinos winning by two points – 96 to 94 at the final buzzer. 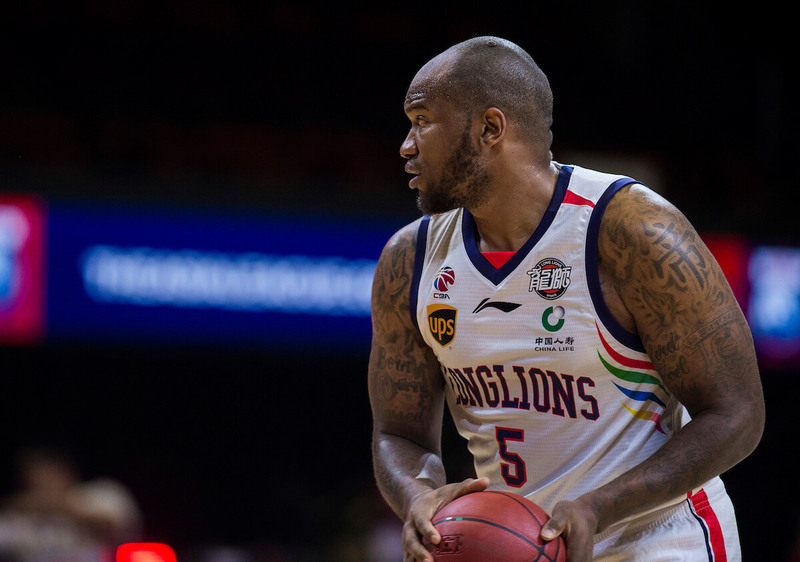 Mobis Phoebus against the Guangzhou Long-Lions was a game featuring two powerhouse teams that put their size and speed on display. Mobis Phoebus used their star player and kept pounding it inside with Ra Gunah controlling the paint leading the team with a monster line of 37 points, 16 rebounds on a very efficient 71% from the field. Mo Speights worked his signature style of a non-traditional big by doing damage from the outside while clogging the paint in the defensive end. He finished the game with an equally impressive line of 30 points, 10 rebounds and connected on 6 three-pointers. They tightened up the defense late in the second quarter which resulted to the biggest lead in the half 51-39. The tides turned the other way in the third quarter led by beautiful passing and scoring from Shannon Shorter who finished the game with strong stats across the board – 38 points, 14 rebounds, 5 assists, 2 blocks and a steal. It was a complete turnaround as they headed to the fourth quarter with Mobis leading by just 2 points, 71 to 69. Speights hit a difficult clutch 3 with a minute remaining to tie the game 89-89. The fourth quarter ended with both of the teams playing lock-down defense to force the game into OT. In overtime, it was another series of the teams hitting big shots one after the other. Fogg hit a beautiful floater to give a 4 point cushion 98-94 with a little over a minute left. Mobis pulled closer with 3 straight points from the foul line to put it at 98-97. With 13 seconds left Mobis had a chance to win it, but Shannon Shorter missed a difficult three as time expired giving a hard earned victory to the Long-Lions with a final score of 98-97 in one of the most exciting games so far in The Terrific 12 tournament. The Xinjiang Flying Tigers took the court for the first time in the Terrific 12 tournament as they matched up with the Ryukyu Golden Kings at the Studio City Event Center in Macao. 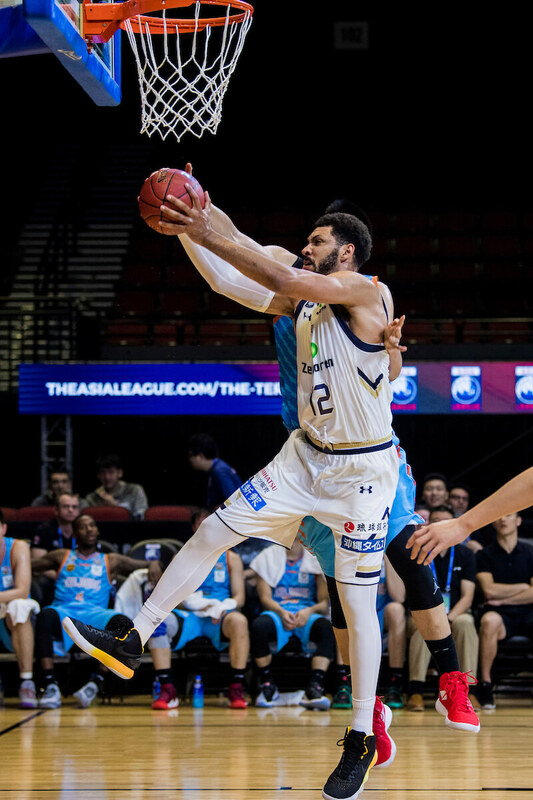 The Golden Kings gained control of the match using their length from their twin towers, Josh Scott who lead the team in scoring with 23 points and 14 rebounds, together with Jeff Ayres, who controlled the paint all game long. The Seoul Samsung Thunders looked to punch a ticket to The Terrific 12 Semis with a win over Shandong Xiwang. But with 2 former NBA Players, Donatas Motiejunas and Andrew Goudelock leading the way, it would not be a walk in the park. The Thunders were on fire to start the game, hitting an unbelievable 8/11 from beyond the arc in the first quarter to put them up 32-24 after one. They continued on to the second quarter as Glenn Cosey extending the lead to 21, 54-33 at the half. 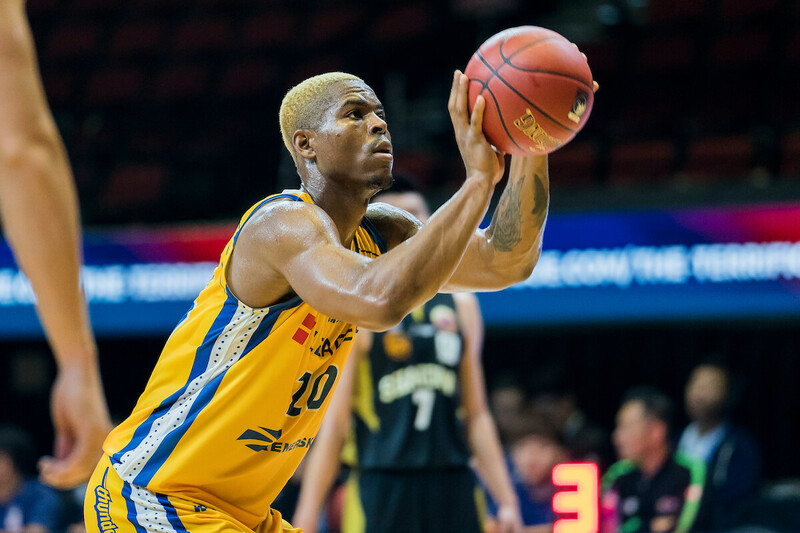 The Thunders were just too much for the Shandong Xiwang as Ben Mbala controlled the paint scoring 19 points with a couple of beautiful and-one baskets. Lee Gwan Hee played a good all-around game as he made his presence felt in the defensive side of the game as well. He finished with 17 points shooting 3 for 5 from three. Cosey also had another excellent game in back-to-back fashion with a 21 points and 8 assists. Efforts from Motiejunas who scored 15 points and grabbed 16 boards were not enough as they fell to the Thunders with a Final score of 85-73.